About — Graphic Technologies, Inc. The Mission of Graphic Technologies, Inc. is to help its customers reap the most value from their GIS and Geospatial Data by providing the best possible software, services and support. Graphic Technologies, Inc. (GTI) was incorporated in 1996. The company originally provided GIS consulting services and onsite support to telephone companies and utilities (electric, gas, and water) in the United States and the Middle East. GTI specialized in Intergraph's FRAMME product implementation and providing GIS requirements consulting. GTI introduced GTViewer and Pocket GTViewer at the 2001 Geospatial and Technology Association (GITA) conference in Tampa, Florida. These applications were a new breed of Geospatial Data Viewer that were GIS agnostic and offered high performance, ease of use, and functionality. Leveraging the power of the newly available Pocket PC devices (such as the Compaq iPAQ), Pocket GTViewer gave its users complete access to their GIS data on a device that would fit in your pocket. Today, GTI provides a full range of services and products for creating, viewing, validating, modifying, analyzing, and plotting geospatial data. GTViewer is supported on Windows, Windows Mobile, iOS (iPhone/iPad), and Android (phones/tablets). GTWeb provides internet and intranet access for browsers, iOS, and Android; GTSpot facilitates crowd-sourced problem identification; and GTShare brings everyone together with collaboration. 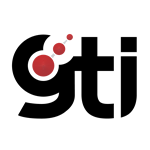 A suite of developer tools is also available to create your own apps that leverage GTI's technology for viewing, data creation, and analysis.